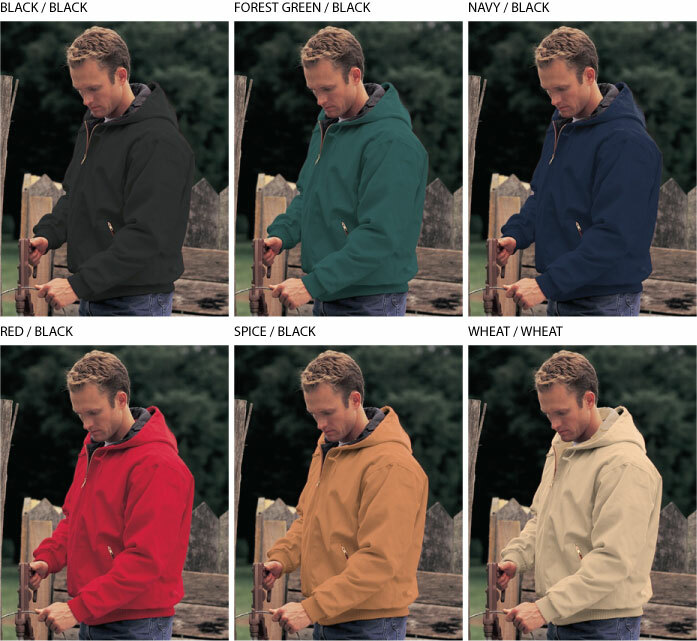 Tri-Mountain 4600 Timberline Canvas Jacket [4600 Timberline] - $48.99 : Sogowear Outfitters!, Polo Shirts, Golf Shirts, Jackets, Fashion Fleece, Woven Shirts and More! 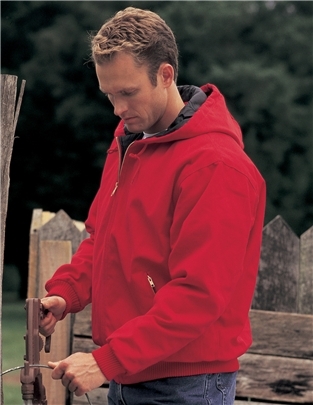 The Tri-Mountain 4600 Timberline hooded jacket features a heavyweight 12 oz. cotton canvas shell with 6 oz. Polyfill® quilted lining in body and 4 oz. Polyfill® quilted lining in the hood and sleeves. Also features two front pockets with zippers, one inner right chest pocket with zipper, and rib waistband and cuffs.